Since we’ll be adding Chakra Balancing to our Sunday posts, I thought I’d kick it off by posting a Chakras Cheat Sheet, so you can refer to it whenever you need to! Chakras are simply energy centers in the body. They are arranged in an ascending column from the base of the spine to the crown of the head. Each one has a color, a corresponding element (i.e. fire or air), body links (i.e. liver or heart), and personality characteristics (i.e. love or courage). When you balance the Chakra, you balance that area of your life. 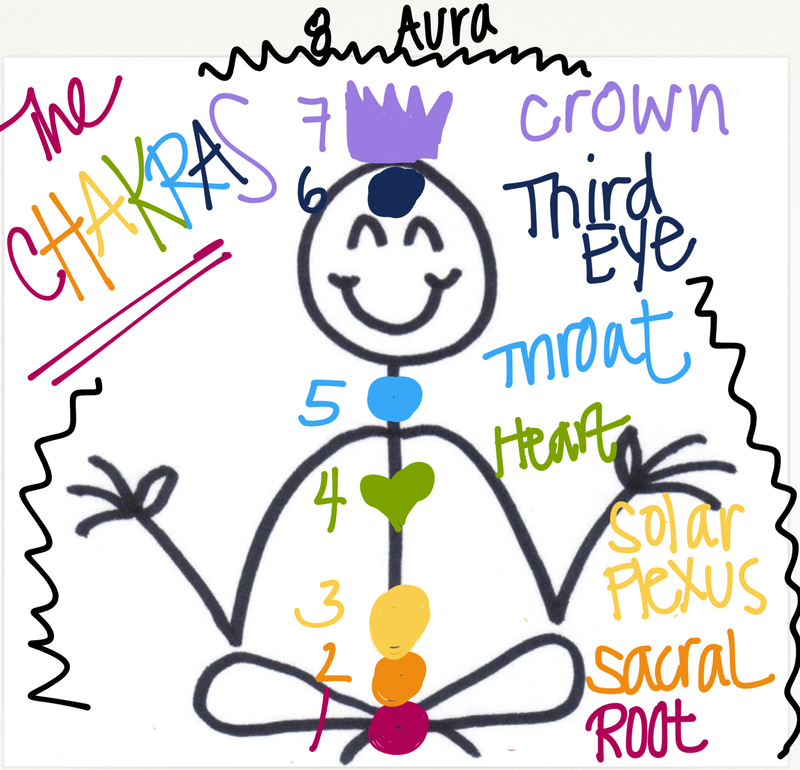 Which Chakra Should I Balance? Each week, we’ll be focusing on balancing and clearing a different Chakra, but here’s your reference for when you want to do it on your own. HOW do I Balance the Chakra?